You may not know the right size, favorite colour, or preferred style, but never fear, you can still by the perfect gift and make sure they get exactly what they want with our gift cards for shoes or anything that catches their fancy. With a Florsheim gift card, one size really does fit all. Looking for the perfect gift? Purchase a Florsheim Gift Card for someone special today. 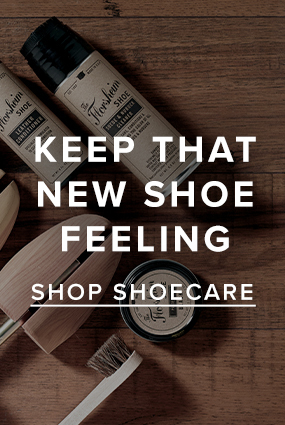 Florsheim Gift Cards can be purchased at all Florsheim retail stores and online. The recipient may redeem their Gift Card in-store or online*.